It’s raining cats and dogs in Austin today! Yesterday when I heard about the weather I got so nervous. Mike wasn’t home and I really needed to park my car in the garage, which was full. Well, turns out I’m not as helpless as I thought I was because I was able to move everything to one side of the garage and get my car in there. It’s not pretty, but it fits. It may be time to get rid of some stuff though!! 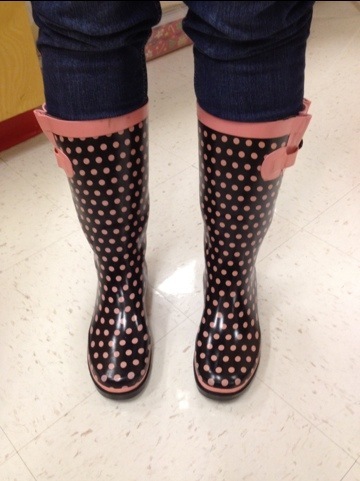 The best thing about rainy days is RAIN BOOTS! I got mine last year at Maurice’s for $9.00. 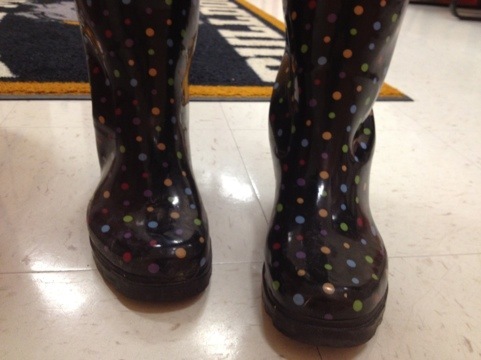 I had been looking everywhere for rain boots and the least expensive ones I found were $25.00. I’m pretty cheap, so I couldn’t justify paying that much for something I wear once a year. 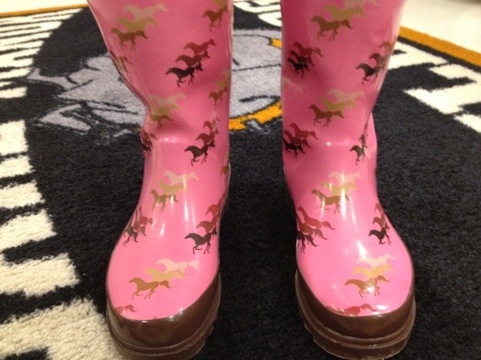 I loved getting to work today an seeing all the cute rain boots that everyone has! I bet my friend at Definitely Leopard will love these! 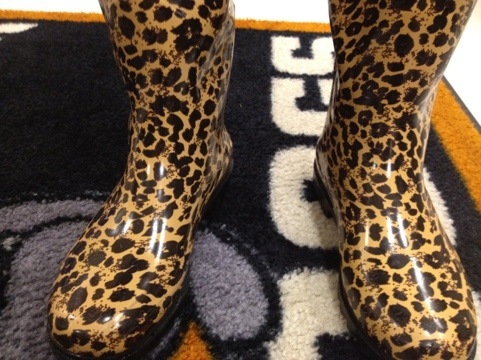 These are the Maurice Boots! 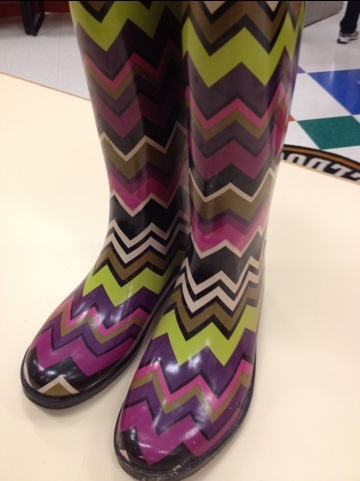 Here are some Missoni Rain Boots!! I have the leopard ones. I started to wear them today but since we have a covered garage at work and my feet will never see the rain, I figured it was kind of pointless. I figured you might! They’re super cute! All those colorful boots brighten up a gloomy day. There were so many more! I wish I would have taken pictures of all of them!! It was fun seeing them all! I cannot stress enough, the importance of having some type of foot powder, or extra thick socks. . . .